Scientists at UC San Diego and UCLA reported Tuesday that a new imaging system is providing more precise data on prostate cancer, the second leading cause of death in men. In the current issue of the journal Prostate Cancer and Prostatic Disease, the researchers said current magnetic resonance imaging systems have flaws, but a restriction spectrum imaging MRI corrects them, allowing physicians to accurately plot a tumor’s location and extent. Typical MRI’s use a die to highlight blood flow, but some tumors aren’t too different from surrounding healthy tissue, the authors said. Another imaging technique being used more often these days on the prostate measures the diffusion of water. Cancer tissues are denser than healthy tissues and typically limit the amount and mobility of water within them. Diffusion MRI, however, suffers from magnetic problems that can distort the actual location of tumors by as much as 1.2 centimeters, or roughly half an inch. The scientists said that’s a significant distance when surgeons are attempting to assess, among other things, whether a tumor extends beyond the prostate and into adjacent nerve bundles. The new RSI-MRI corrects the magnetic field distortions for the diffusion MRI, according to the researchers. “Doctors at UC San Diego and UCLA now have a non-invasive imaging method to more accurately assess the local extent of the tumor and possibly predict the grade of the tumor, which can help them more precisely and effectively determine appropriate treatment,” said Dr. David Karow, assistant professor of radiology at UCSD. In a related paper to be published in the journal Frontiers in Oncology, the same team of researchers reported that RSI-MRI appears to predict tumor grade. Higher grade tumors correlate with higher restricted water volume in the cancer cells’ large nuclei. 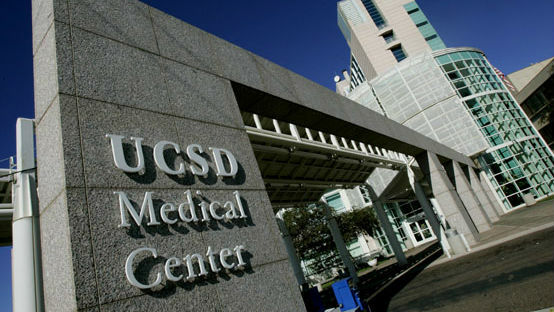 Dr. Christopher Kane, professor of urology at UCSD, said the imaging system will help doctors decide whether a tumor only needs to be monitored, so patients can avoid going through more aggressive treatments. Funding was provided, in part, by the National Institute of Biomedical Imaging and Bioengineering of the National Institutes of Health, the Department of Defense’s Prostate Cancer Research Program, the American Cancer Society and the UC San Diego Clinician Scientist Program.